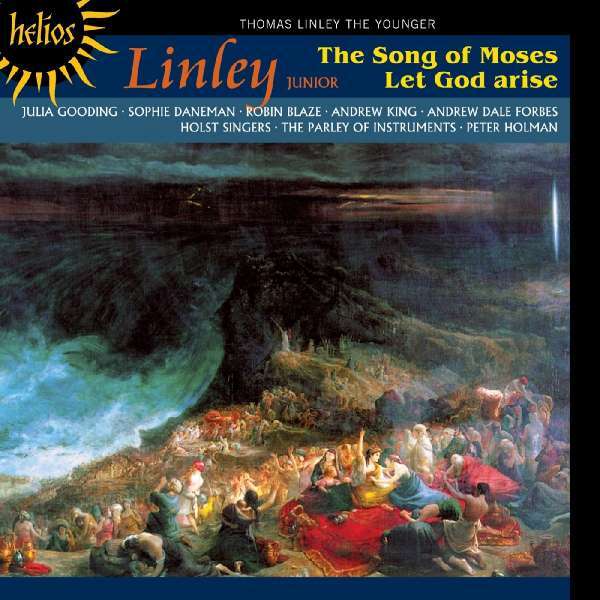 Der Artikel Thomas Linley (Der Jüngere) (1756-1778): The Song of Moses (Oratorium) wurde in den Warenkorb gelegt. 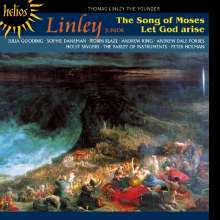 Thomas Linley was born in Bath into a highly musical family. Had he not died tragically young in a boating accident it seems likely that he would have won for himself a far greater name. He travelled widely, was a friend of Mozart (who commented that 'had he lived, he would have been one of the greatest ornaments of the musical world'), and was widely mourned. The Song of Moses was one of his last works. A grand oratorio in Handelian style, it contains a varied range of arias alongside choruses which are at once expertly written and intensely dramatic (something here developed to the full by the Holst Singers). The story is taken from Exodus (Chapter 15) and concentrates on the Israelites' rejoicing after the Red Sea was closed over the pursuing Egyptian forces—much the same as Handel's Israel in Egypt. This recording is the work's first performance since 1778. Let God arise is an earlier work, one of his first surviving compositions of any size, and is a large-scale anthem after the style of Handel or Boyce. Again the choruses have real strength and contrapuntal power, and the arias show a skill rare in one so young.